Cheam and Sutton Rotary - Welcome! It is amazing what we can accomplish when hearts and minds work together. Rotary Clubs consist of members from different from countries, cultures, and occupations and these leaders of society are taking action to enhance health, empower youth, promote peace, and advance their community, all round the world. Our membership is made up of active, enthusiastic men and women of all ages and backgrounds who, by combining their skills and resources, make a real contribution to the lives of others both locally and internationally. 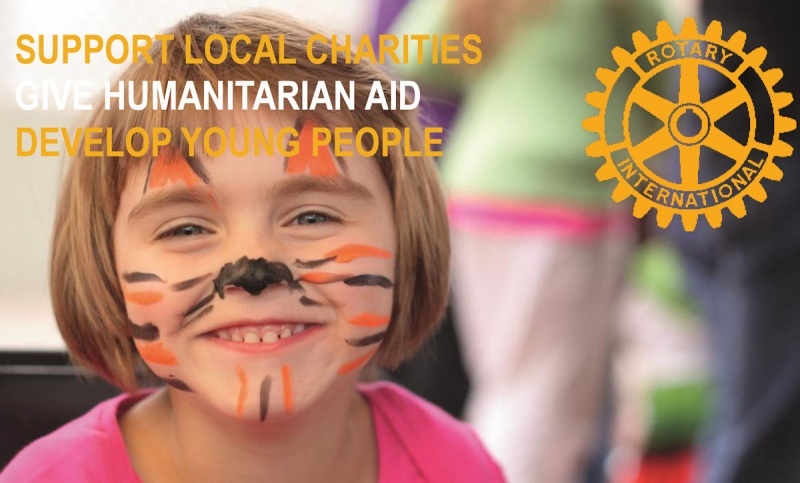 Cheam and Sutton Rotary is a part of Rotary International, a worldwide organisation founded over 110 years ago, based on the principles of friendship, service to the community and the promotion of peace and international understanding. As a result of Cheam and Sutton Clubs deciding to merge in 2016, Cheam and Sutton Rotary is a new club with a long history. Sutton Rotary dates back to 1923 and gave birth to Cheam Rotary in 1955. Both clubs have supported many local charities over the years of their existence and they have now merged for a wider footprint in the community. Rotary’s May Fair takes place on the Bank Holiday Monday in late May. It is Sutton and Cheam's largest community event. We also raise funds by collecting outside local supermarkets. We are grateful to Morrisons and Sainsbury’s in Sutton for giving us this opportunity. Thanks to the generosity of the residents of Sutton, Cheam and Worcester Park in December 20l7 and throughout the 2017/2018 Rotary year we have raised over £26,000, all of which have been donated to local charities. If you would like to learn more about us or are interested in joining us, then please use the link to contact us. Come to one of our meetings to discover more.